It’s the second day of press conferences and this time, it’s Microsoft’s turn. While we won’t be reporting on everything Microsoft announces, expect us to post and talk about the Project Scorpio, multi-platform games that has exclusive Microsoft marketing rights, and anything that’s somehow connected to PlayStation. The Microsoft E3 2017 press conference will commence at 2 p.m. PDT/5 p.m. EDT today, and will bring with it the official unveiling of Microsoft’s PlayStation Pro killer, Project Scorpio. Needless to say, this is a must-watch presser even for non-Xbox fans just to see what Microsoft has in store for 2017 and beyond (oh, and BioWare’s Anthem will be there!). 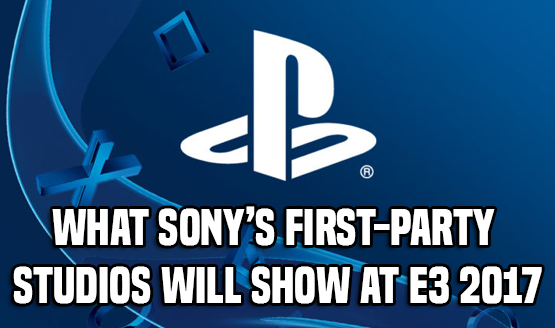 Will it be the console to finally topple the PS4’s stranglehold this gen? Let’s tune in to find out! After Microsoft’s press conference is done, Bethesda will then take the stage later at 9 p.m. PDT/12 mn EDT. Overlapping with Bethesda’s press conference will be Devolver Digital’s, which will happen at 10 p.m. PDT/1 a.m. EDT. Don’t forget that Warner Bros., EA and other publishers will have livestreams for their games happening all throughout the week. If you can’t make the press conferences, don’t worry! PlayStation LifeStyle will have all the relevant gaming news that you want right here. Stay tuned for our previews, interviews and more straight from the show floor as well. What do you expect to see from Microsoft’s showing aside from Project Scorpio? Let’s talk Xbox in the comments below, people!